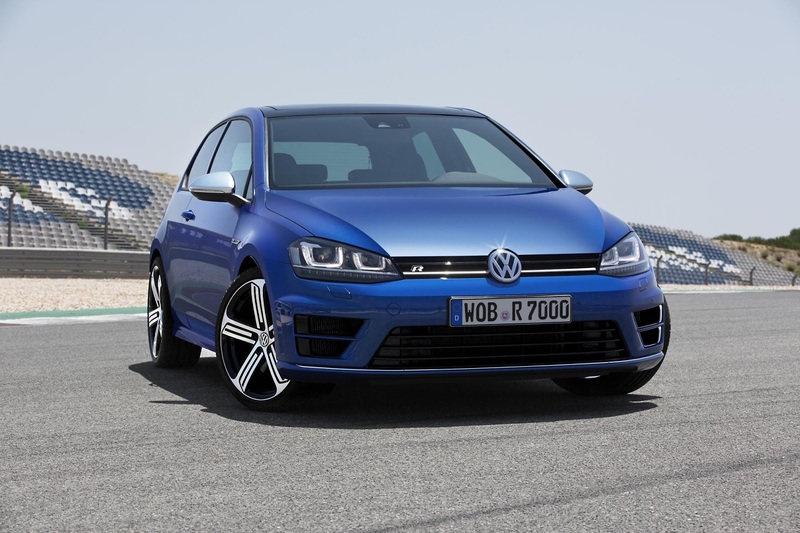 Volkswagen has released the first details of the new Volkswagen Golf R ahead of next month’s Frankfurt Motor Show. With a 2 litre turbocharged petrol engine producing 300 PS (296 bhp) and 380 Nm of torque and utilising the latest 4MOTION four-wheel drive system, the new Golf R is the fastest-accelerating production Golf yet. VW claims a zero to 62 mph time of 5.3 seconds (compared with 5.7 seconds for the previous model), or 4.9 seconds when fitted with the optional six-speed DSG gearbox. Top speed is electronically limited to 155 mph. 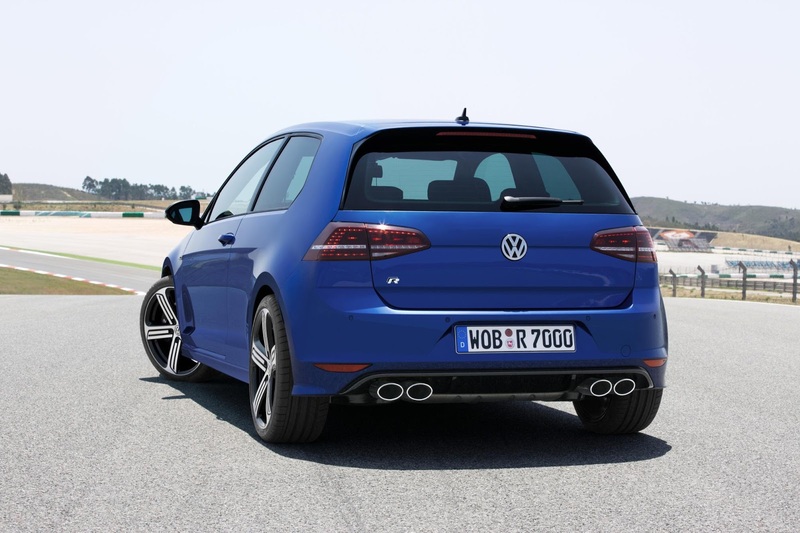 At its heart is a newly developed version of the EA888 TSI engine used in the latest Golf GTI, but the Golf R’s engine has a modified cylinder head, exhaust valves, valve seats and springs, pistons, injection valves and turbocharger. The Golf R’s four-wheel drive is the latest fifth-generation Haldex system. Under low loads or when coasting, the rear axle is decoupled, helping to reduce fuel consumption. It takes only fractions of a second for drive to the rear axle to be engaged via the Haldex coupling, which is actuated by an electro-hydraulic pump. If necessary, almost 100 per cent of power can be transferred to the rear axle. Like the GTI and GTD, the Golf R is equipped with progressive steering, which reduces the number of turns lock to lock to just 2.1, rather than 2.75, making for an enhanced dynamic driving experience. Details include black-painted brake calipers with ‘R’ logos inside the standard 18-inch alloy wheels with 225/40 tyres. Smoked LED tail lights, an ‘R’ diffuser and four chrome-tipped exhaust pipes finish off the rear end. Just one wee problem – no price as yet!